CINCINNATI--(BUSINESS WIRE)-- Macy’s, Inc. (NYSE: M) today announced that the company is highlighting advanced technology to enhance the omnichannel customer experience. Across the enterprise, new features are being introduced to make the Macy’s customer journey more convenient, efficient and fun. The features include both virtual reality and augmented reality furniture and beauty experiences that enable customers to discover product and make more informed buying decisions. 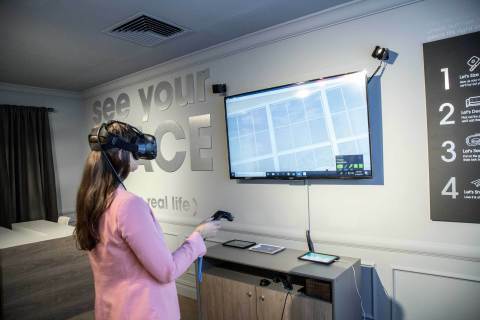 The company has also made technological enhancements to several non-customer facing features, including the Beauty Playground training program and RFID that will enable colleagues to offer customers a better in-store shopping experience.